For Reservations, please call Debbie at 636-208-8536 for this Quiet Cottage tucked in the tall pine tree forest close to town. You will love this cute, clean, private, comfortable place to relax and enjoy the Ozark National Scenic Rivers and Parks. 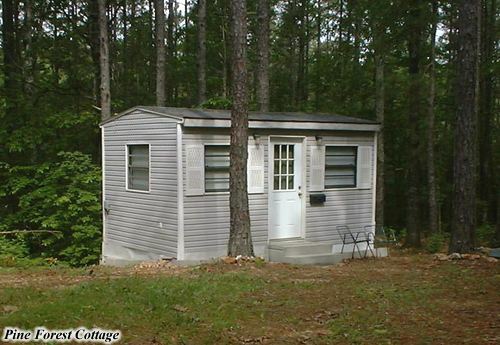 Air Conditioned, TV, Refrigerator, Microwave, Coffee Pot and supplies, Queen Bed, Fire Pit with free stocked wood. Free WiFi. Year round lodging!